China has built 290,000 square meters (29 hectares) of facilities on the islands disputed by the country's neighbors in the region. China proceeds to steadily build islands on disputed reefs and shoals of the South China Sea, a report published by the Haiwainet website under the People's Daily newspaper said Monday. "The course of construction is moving ahead steadily and a series of striking results have been achieved," the report said. 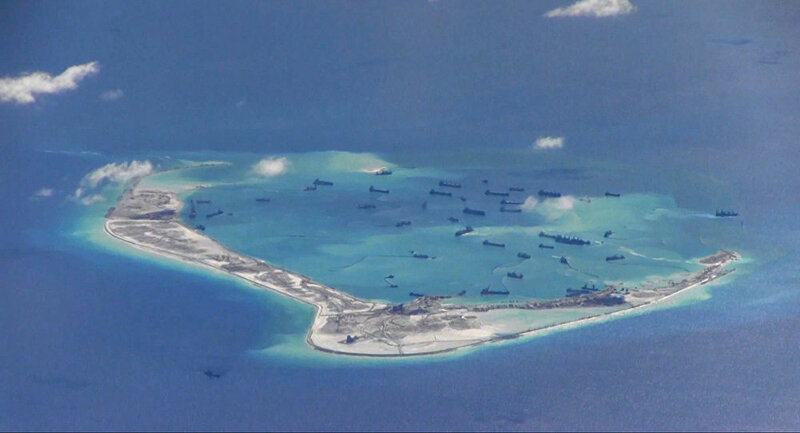 The report noted that China has expanded the area of its islands and reefs in order "to improve the livelihood and work conditions of people living on the islands and strengthen the necessary military defenses of the South China Sea within China's sovereignty." The expansion will continue further with the introduction of the super-dredger Tianjing, a "magical island building machine," the report added. According to a research fellow with the National Institute for the South China Sea Chen Xiangmiao, the building of new islands in the region helps China to fulfill its international responsibility, including maritime search and rescue, navigation safety and environmental protection. China claims nearly all of the South China Sea, installing military facilities on the islands built on the Spratly and Paracel reefs. Since the beginning of the year, the country has built 290,000 square meters (29 hectares) of facilities, including underground storage, administrative buildings and large radar installations, according to the newspaper. China's claims on the South China Sea's waters are contested by neighboring Vietnam, the Philippines, Malaysia and Brunei, as well as Taiwan.